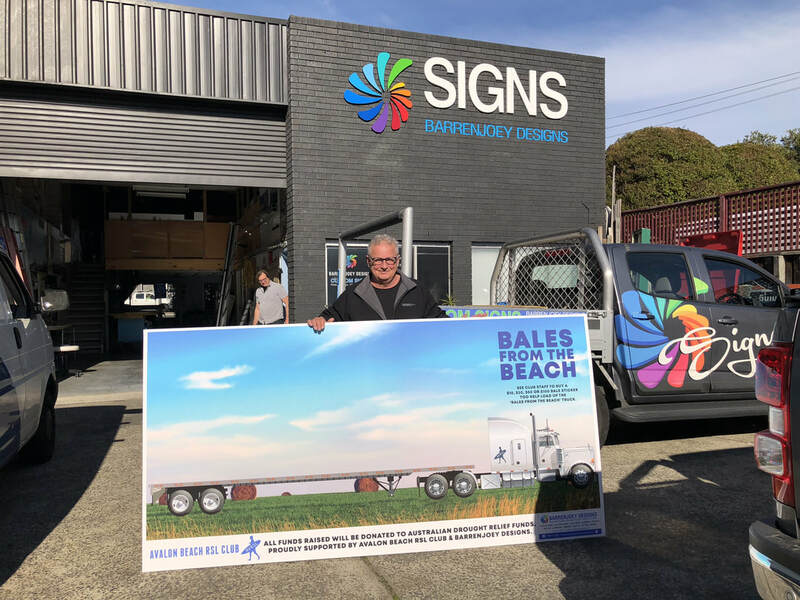 ​'BALES FROM THE BEACH' was a club donation initiative to raise much needed funds for Australian Drought Relief programs. ​Thanks to our Members & Guests, and in particular our local schools we have collectively raised a total of $17,750! ​please visit their website here to make an online donation. 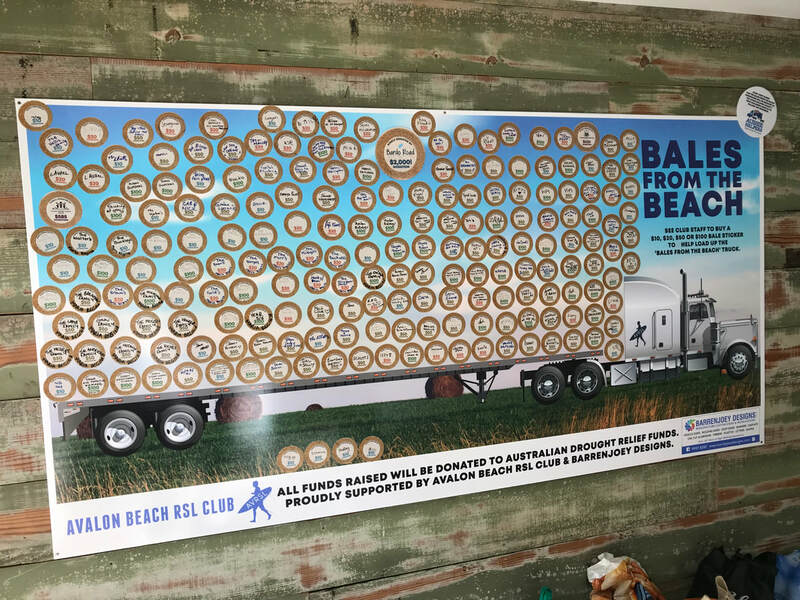 ​WHO COLLECTIVELY DONATED $2,160 ON 9/8/18! 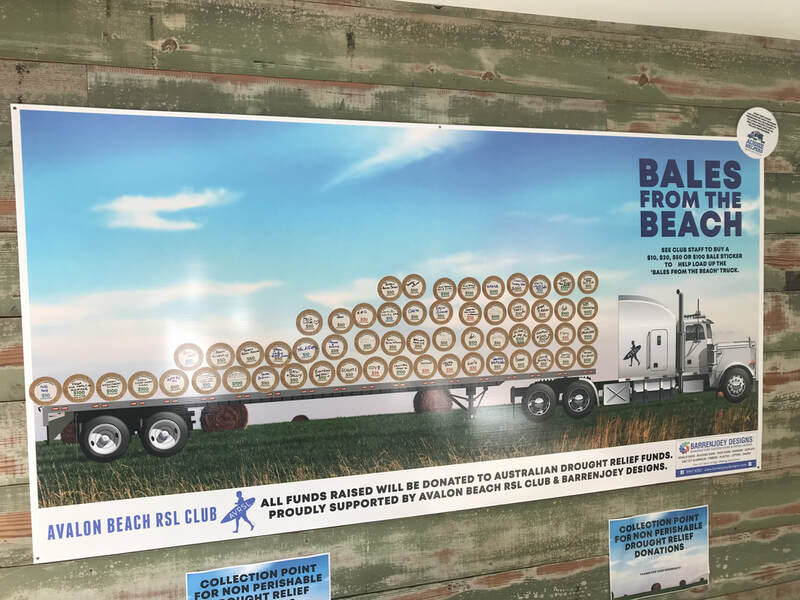 ​WHO COLLECTIVELY DONATED $2,000 ON 21/8/18! ​WHO COLLECTIVELY DONATED $420 ON 14/8/18! 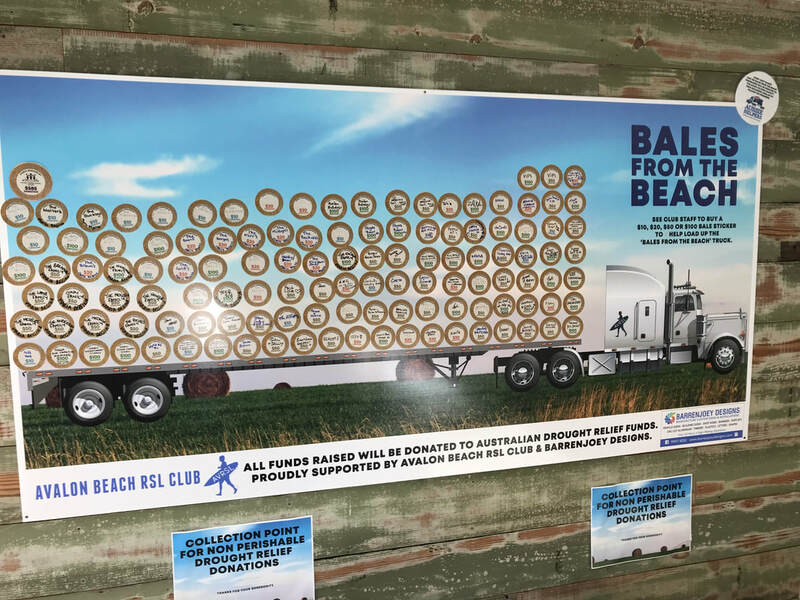 RAISED A TOTAL OF $4,170 ON 25/8/18! The first Bales on the Truck! 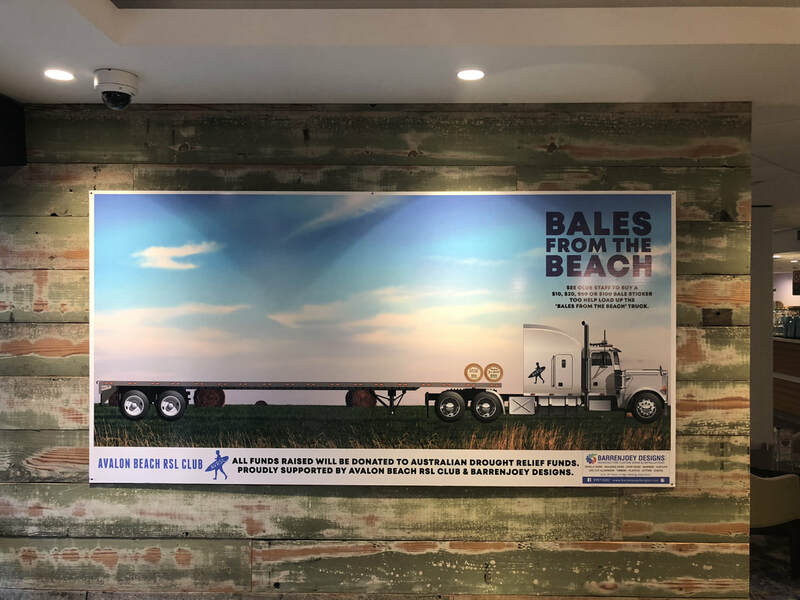 The Bales from the Beach Truck on the Reception wall. 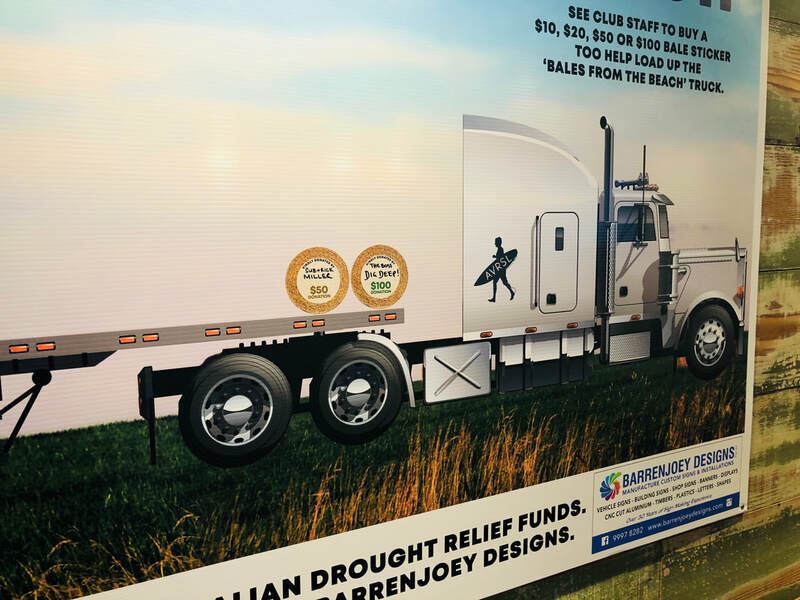 ​was donated to the Aussie Helpers Charity. ​TRANSFER AMOUNT: 13/8/18 - $6,960 transferred to Aussie Helpers Charity Ltd.
​TRANSFER AMOUNT: 21/8/18 - $1,490 transferred to Aussie Helpers Charity Ltd.
​TRANSFER AMOUNT: 27/8/18 - $6,590 transferred to Aussie Helpers Charity Ltd.
​TRANSFER AMOUNT: 18/9/18 - $2,580 transferred to Aussie Helpers Charity Ltd. FINAL ​TRANSFER AMOUNT: 23/10/18 - $130 transferred to Aussie Helpers Charity Ltd.